Need the perfect sweet treat for your 4th of July party? Ever asked to bring a sweet treat to a party, shower, or small group? I always try to think of something that everyone will love, but that I will be able to enjoy, too. My solution: The Yogurt Bar! 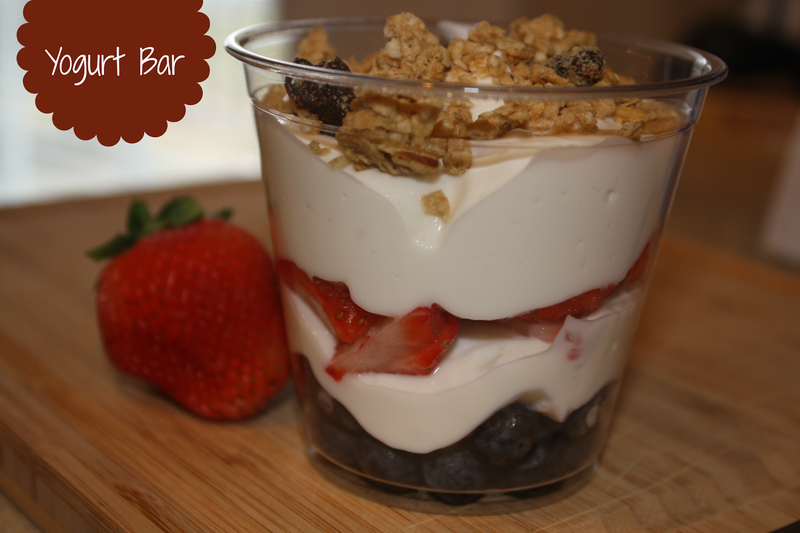 It is so quick and easy to put together a yogurt bar - and the possibilities are endless! I start with my FAVORITE vanilla Greek yogurt - Oikos! I usually get a few containers even for a small crowd. Then you need the toppings! On this occasion, I used strawberries, blueberries, granola, and M&Ms. Grab some clear cups (I recycle my endless supply from our wedding) and friends can create their very own yogurt creations! Our friends loved this when we did it for Life Group! Then everyone is able to enjoy a sweet treat without all the guilt! ENJOY!